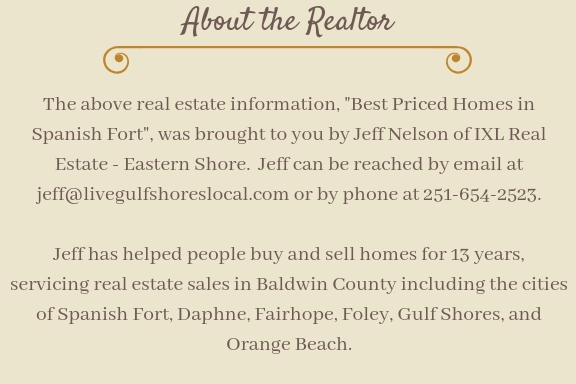 Yes, Spanish Fort is one of the fastest growing cities in Baldwin County. There are many reasons why but one factor is pricing. You would think that home prices would be pushed up by demand but we still happen to be in a slight buyer’s market so pricing is moving up at a slow but steady pace. 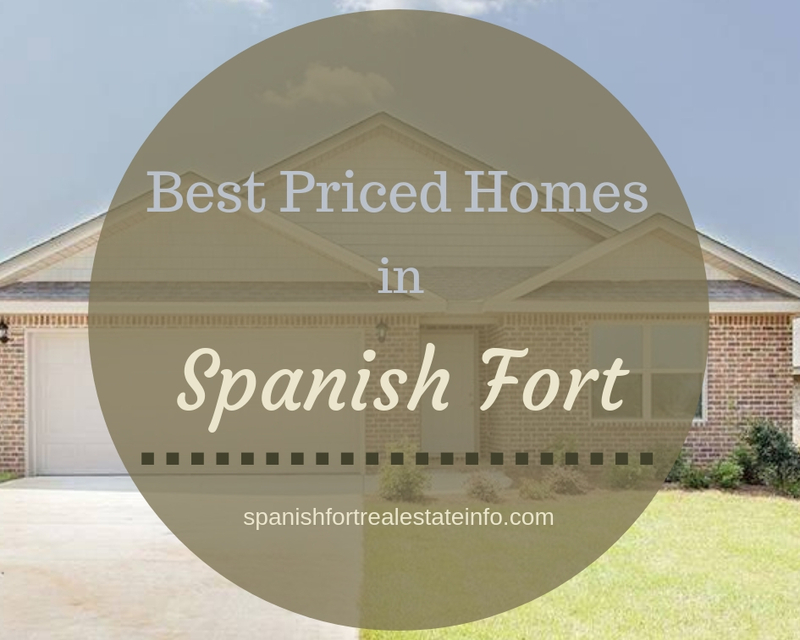 If you’re wanting to purchase a home in Spanish Fort, more than likely there is something here for you. This article is going to highlight the various neighborhoods in the city with the lowest price per square foot. The links below will take directly to a page that will show you exactly what is for sale in that neighborhood. There are many other neighborhoods in Spanish Fort of course but these are the top 8 that have the lowest price per square foot. For more information on any of these areas, simply click the neighborhood link. Please contact me with any of your real estate questions.